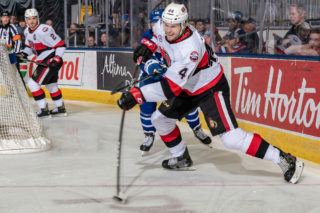 While the Belleville Senators’ goal of clinching a spot in the Calder Cup Playoffs came a win short, the 2018-19 AHL season saw the Senators set a ton of new franchise records. 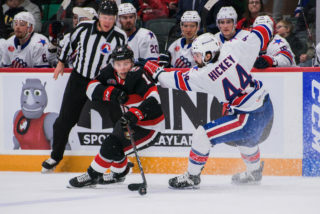 The team set new records for wins (37), points (82), overtime wins (7) and shootout wins (4) whilst also setting a new franchise record for goals scored with 228. 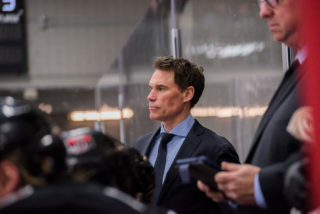 Strangely enough, the Senators also conceded 228 goals, a new low for the team. And who can forget the team’s record breaking 17-game point streak? While Belleville set lots of team records, a couple of players dominated the team’s individual record books. 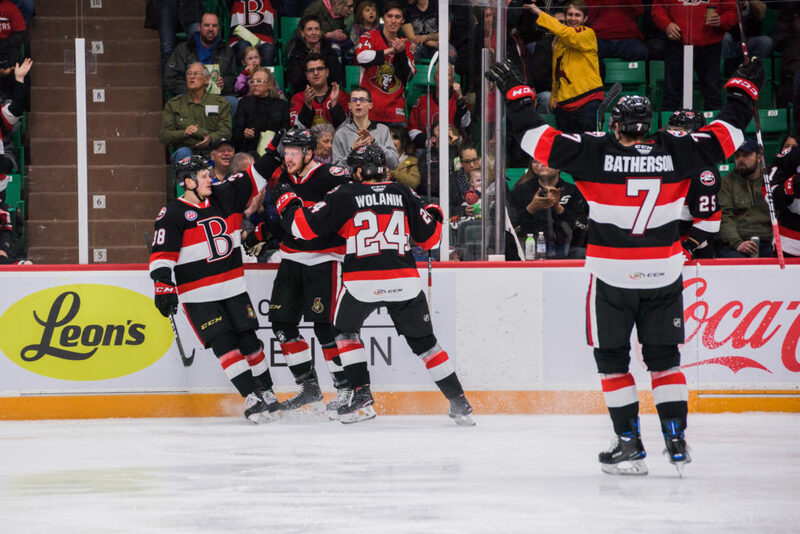 Sens rookie Drake Batherson has his name over 20 current records including points in a season (62) and assists in a season (40) while also owning the team’s record for points in a game with six as well as the longest point streak that hit 10 games earlier in the season. 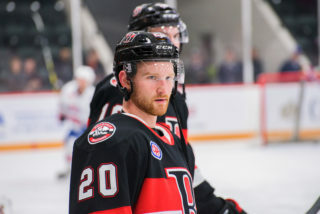 Jack Rodewald set a new team record for goals in a season with 23 while Christian Wolanin’s 31 points were a new high for a defenceman in a season. Swedish netminder Marcus Hogberg smashed everyone goaltending record as his 21 wins, 2.32 GAA and .917 save percentage are all new franchise marks. 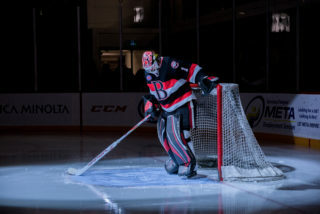 The 2018-19 season also saw numerous Sens players win awards with Batherson collecting two CCM/AHL Player of the Week awards while Nick Paul also won one. 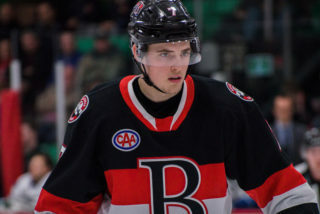 Batherson also claimed February’s CCM/AHL Rookie of the Month and was named an AHL All-Star, as was Wolanin. To view a detailed list of all Senators franchise records, including our all-time leaders in all categories, click here.